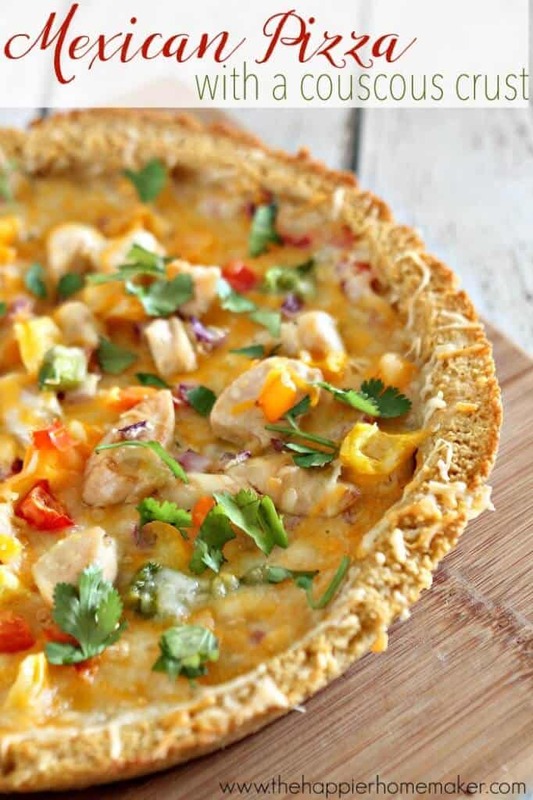 Chopped At Home: Mexican Pizza on a Couscous Pizza Crust! Anybody out there a huge Chopped fan like I am? If you haven’t seen the show, Chopped gives chefs a basket of random items and they have a set time limit to create a dish with it. It’s one of my favorite shows (and I’m not a big TV watcher!) 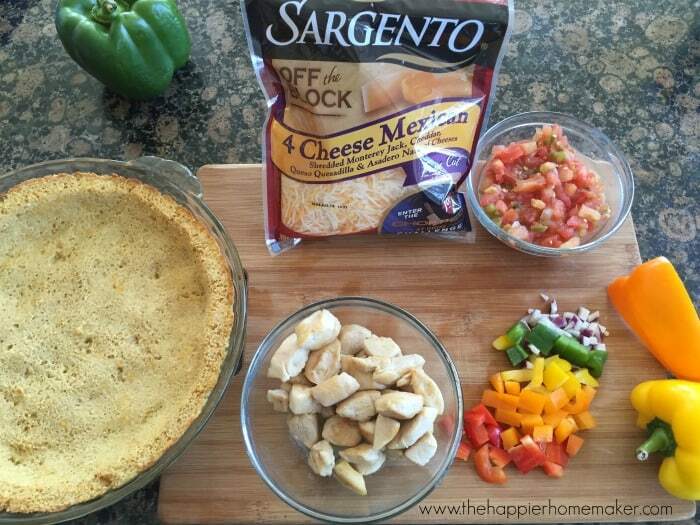 I was so excited when I heard about the Chopped at Home Challenge hosted by Sargento® Cheese-I knew I wanted to participate and challenge myself to get creative in the kitchen as well! 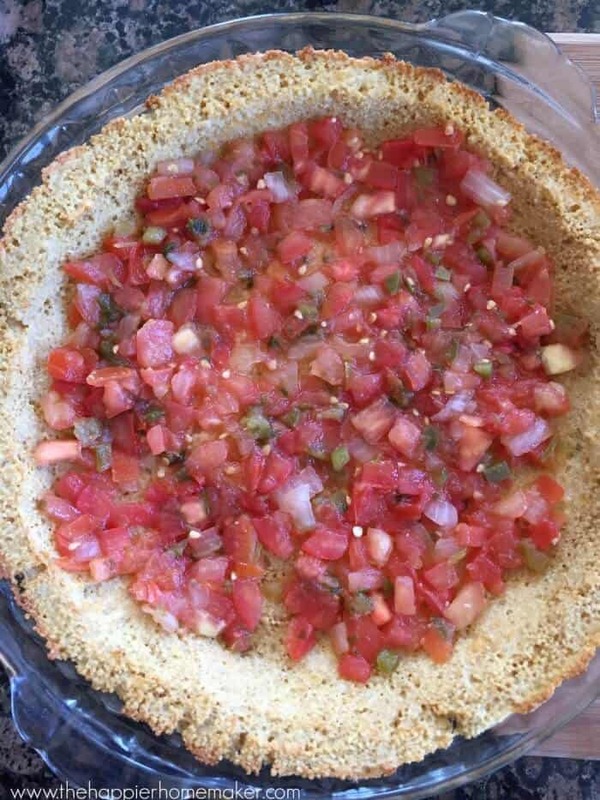 Today I’m sharing the dish I came up with for the challenge: a Mexican Pizza on Couscous Pizza Crust! 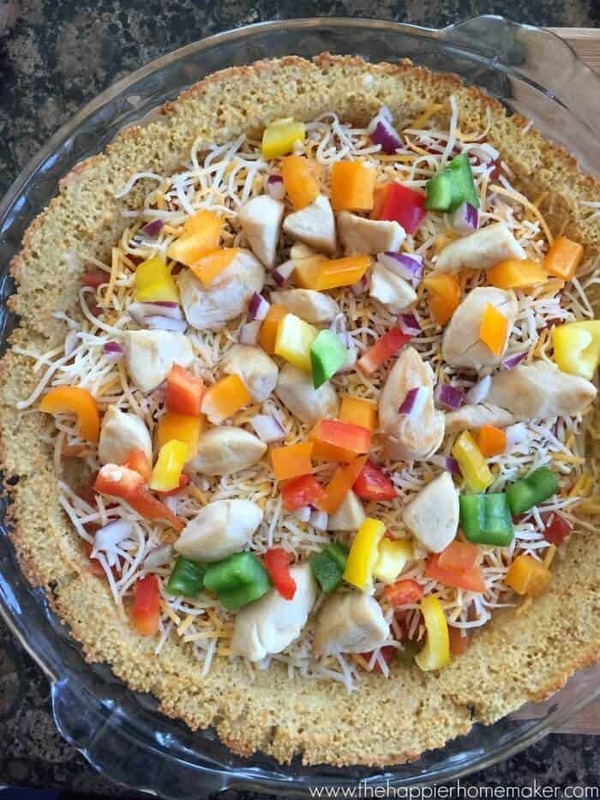 I love couscous and my first thought was to make a couscous salad but in the spirit of the show I wanted to do something a little more creative so I chose to make my couscous into a pizza crust and top it with some fresh, healthy ingredients for a Mexican-style pizza! Preheat the oven to 450 degrees. Cut chicken tenderloins into 1″ cubes and saute in a skillet until cooked through. Set aside. Spray a pie pan with nonstick spray. 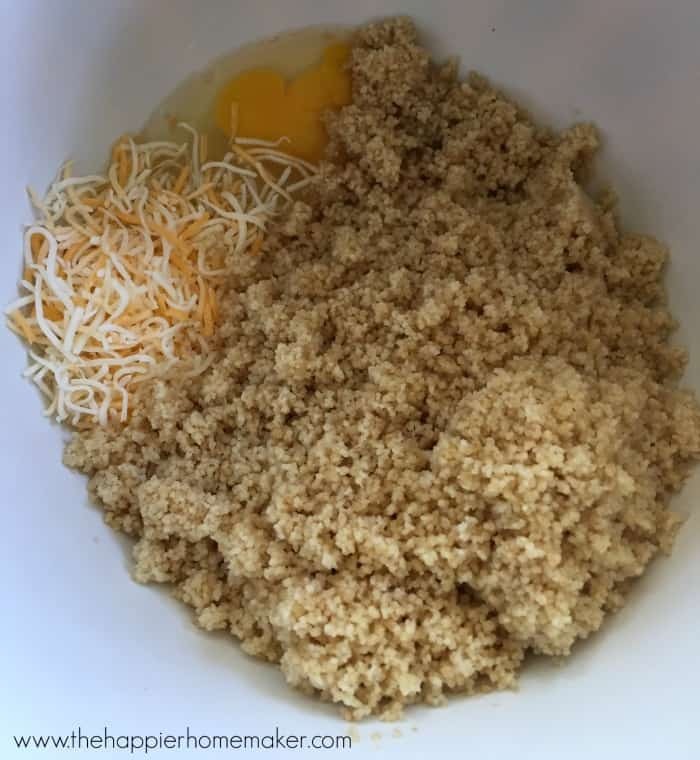 In a large mixing bowl combine couscous, eggs, and 3/4 cup of the Sargento cheese. Mix until fully blended. 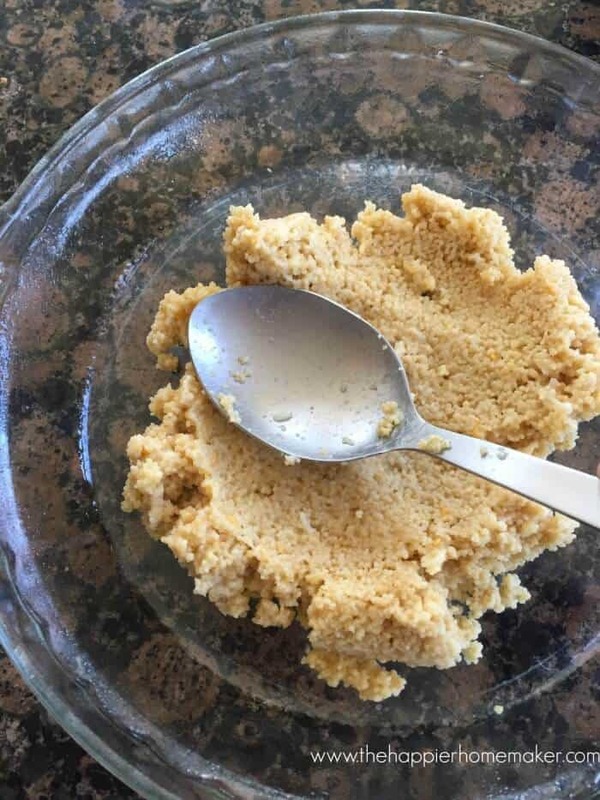 Use the back of a large spoon to begin pressing the couscous into the pie pan. 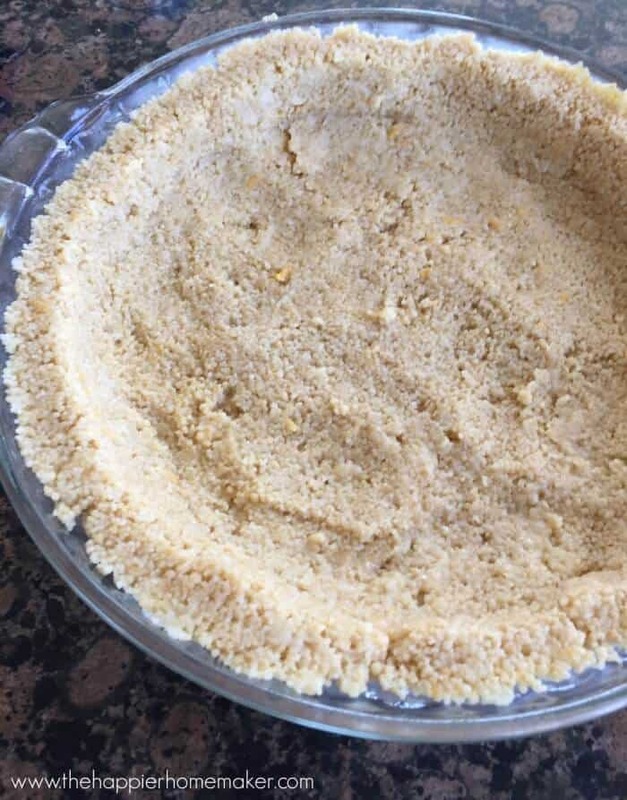 Continue pressing the couscous into the pan until you’ve formed a uniformly thick “crust.” Bake for 20 minutes. …and load up on toppings. I used the chicken cubes, peppers, and red onion. Don’t all those colors look amazing? 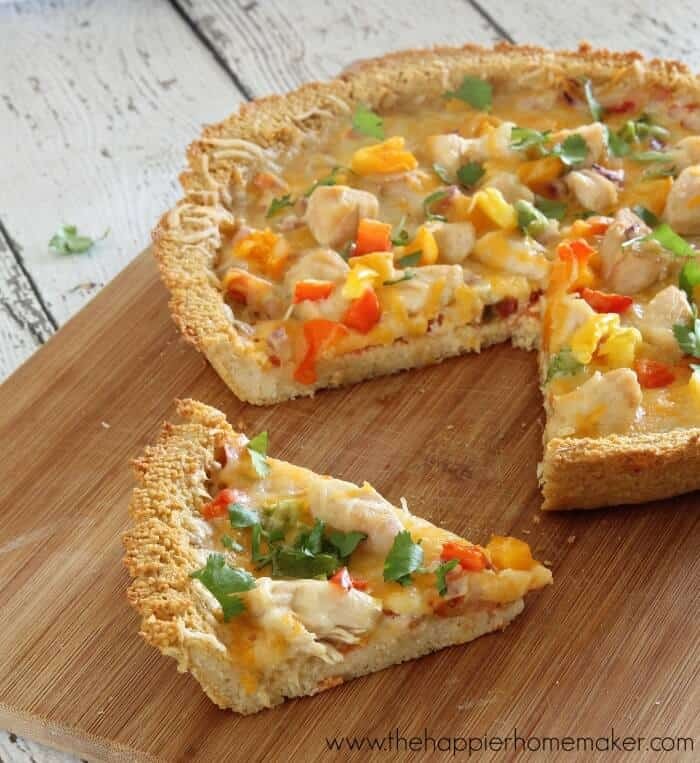 Top with additional cheese if desired and bake for an additional 20 minutes. Garnish with fresh cilantro if desired. 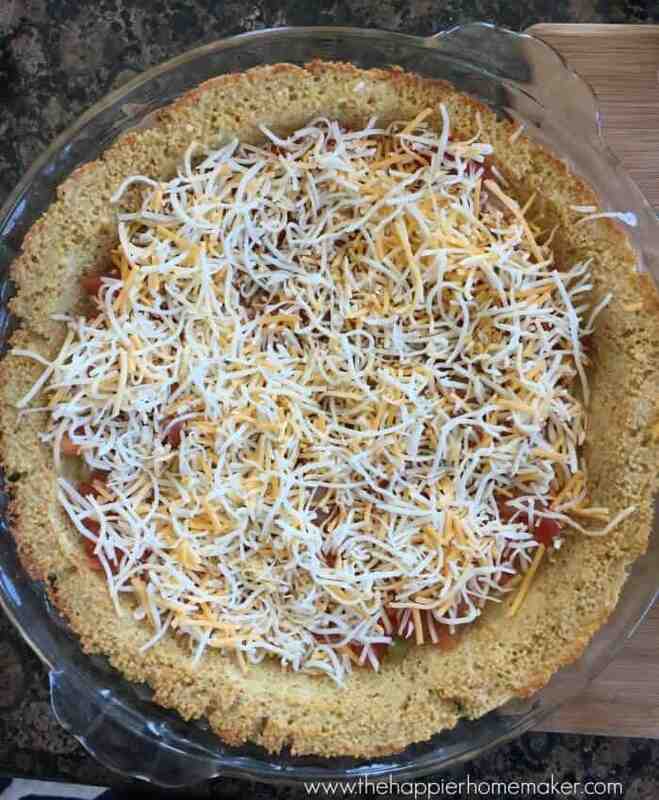 The couscous crust is so interesting and tasty…it’s doughy on the bottom and crispy on the outer edges, just like a traditional crust! And the Mexican flavors blend so well together-plus I had so much fun making it and challenging myself to get creative!